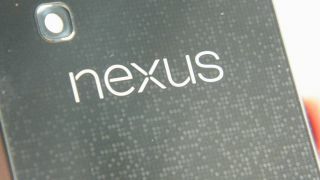 Future Google Nexus devices will boast "insanely great cameras" according to the head of Google+ Vic Gundotra. In a post on his Google+ page, Gundotra revealed he was struggling to decide on the camera equipment to take on a trip to the mountains, beyond his Android phone and prototype Google Glass unit. Commenter Sizar Adam quite pertinently asked: "I hope that someday we will just carry our future Nexus and we won't worry about heavy cameras. Is that possible, Vic Gundotra?" In response, the Google executive wrote: "We are committed to making Nexus phones insanely great cameras. Just you wait and see." The tantalising post will raise questions about what the Nexus team has up its sleeve and which manufacturers it is working with to improve the camera tech on future own-branded smartphones. The most recent device, the LG Nexus 4, boasted an 8-megapixel camera, which "could have been better," according to the in-depth TechRadar review. "We found it to be good in a variety of situations. It won't blow your socks off – but as long as you don't go into this expecting a miniature DSLR, you'll not be disappointed," the review read. Indeed, smartphone cameras continue to improve steadily, to the point where on most occasions some people are happy to rely on them to capture memories rather than carry a compact camera. However, when picture quality has to be relied upon, there really is no substitute for the real thing. Can Google and its OEM partners change this?